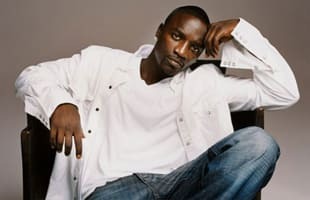 Akon R&B recording artist and songwriter. He rose to prominence in 2004 following the release of "Locked Up", the first single from his debut album Trouble. He is a hook king and a feature from hit usually causes a club banger. Ty Dolla $ign Recruits Akon For "Rhythm Of The Drum"
Akon Takes It to the Club With "Good Girls Lie"
Snoop Dogg Shared a Meme That Refers to Caitlyn Jenner As a "Science Project"